To understand who we are, take a quick look at how we started. 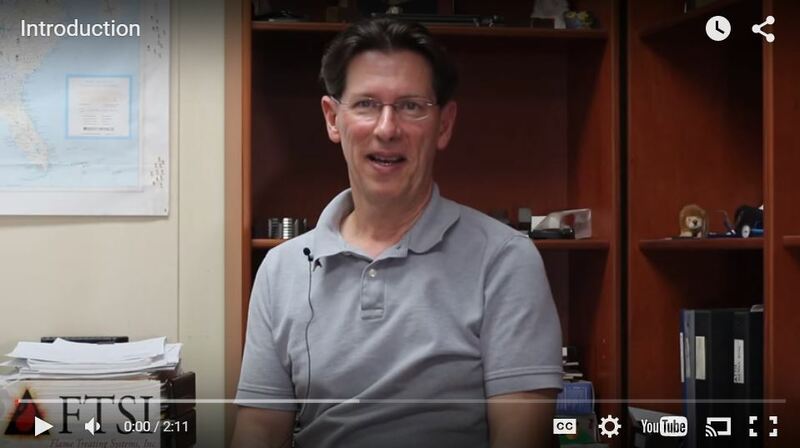 Mervin M. Sirrine started Flame Treating Systems near Pittsburgh, PA in 1973 after working for Dow Chemical (developers of Mapp gas), Airco and Pennsylvania Flame Hardening. Merv believed he could solve just about any hardening problem using a controlled flame hardening system for considerably less cost than an induction system. 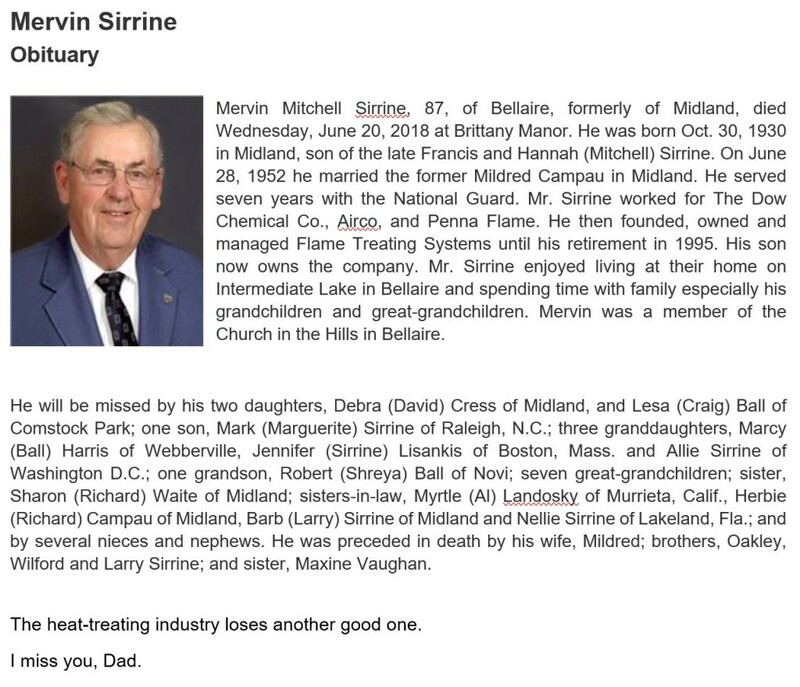 Unfortunately we lost Mervin on June 20, 2018. He left an incredible legacy. We will miss him dearly. Mark M. Sirrine (right) has continued this philosophy since taking over as president and owner of Flame Treating Systems from his father in 1995. 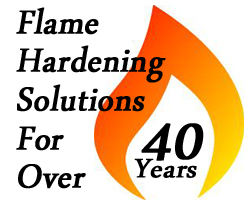 With over 30 years experience, we at Flame Treating Systems have become experts on the control of the flame system. With our personal service we can analyze your hardening needs and develop a system to meet your requirements. We strike a balance between using reliable techniques of the past and modern technology that makes those techniques even smarter. 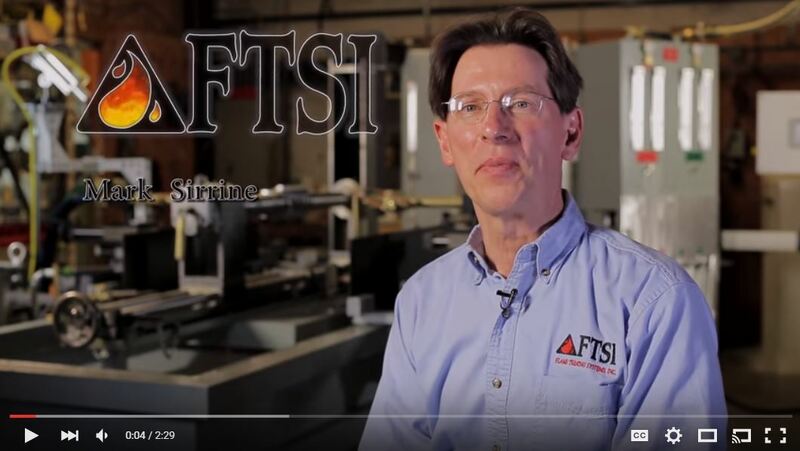 For Over 40 years, Flame Treating Systems, Inc. has built custom-designed flame hardening systems per client specifications, and provided inhouse flame hardening in our own facility. While the flame hardening method represents one of the oldest means of surface hardening metal, many recent advances make it one of the most attractive for several reasons. New computerized equipment reduces both capital costs and fuel/operational costs. It is highly adaptive for the heat treatment of specific part areas, and Flame Treating Systems’ equipment is very user friendly. For all flame hardening methods – stationary flame hardening, progressive hardening, spin hardening and combination hardening — Flame Treating Systems is your source. We can design a new system, retrofit/rebuild old equipment, or provide parts to keep your present system operative. Flame hardening can effectively be applied to a wide range of products. Flame Treating Systems has designed and built systems to harden drive shafts, gears, crane wheels, camshafts and forgings of all kinds. 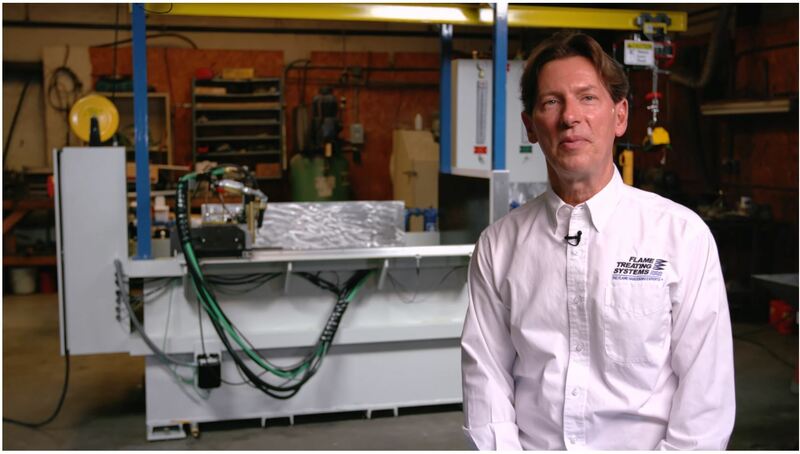 If you have questions about using flame hardening for your heat treating solution, please email me at mark@flametreatingsystems.com or call 919-956-5208.